That's Nelson above. That's Nelson partying. That's Nelson with his girlfriend. All those pictures were taken with an iPhone he stole. Pictures that were automatically sent to the phone's original owner, Katy McCaffrey, through Photostream. McCaffrey posted a hilarious Facebook photo album detailing Nelson's various adventures with her stolen phone. According to McCaffrey, her iPhone was stolen while she was on a Disney Cruise. 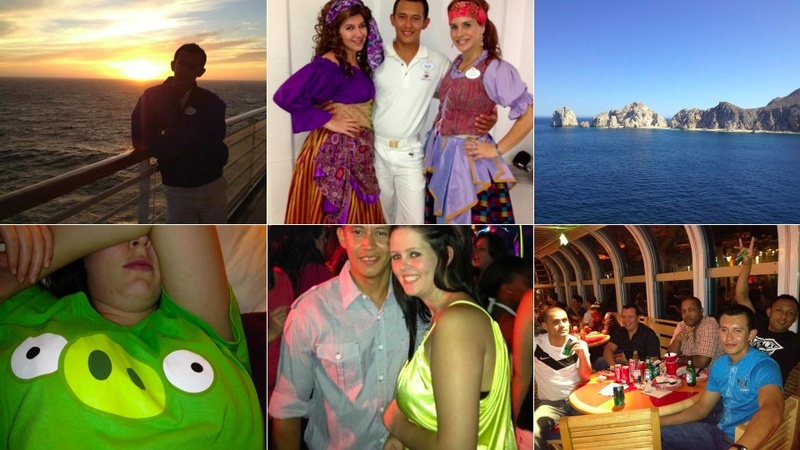 The perp who stole her phone wasn't a passenger though, it was Nelson, a Disney Cruise employee who works on the ship. He used the stolen phone to document his life but unbeknownst to him, those pictures were sent to McCaffrey's computer at home through iCloud, giving McCaffrey the evidence she needed to get her phone back. I guess Nelson was clever enough to steal a phone but not wise enough to wipe it.